Agryd or "Always grow your dream" is a newly launched Indian social networking website with multiple features integrated on a single platform. 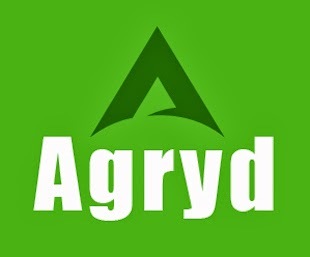 Agryd was launched with the aim to provide premium functionality integrated over a single social platform, it aims to help users to connect with other Peoples. 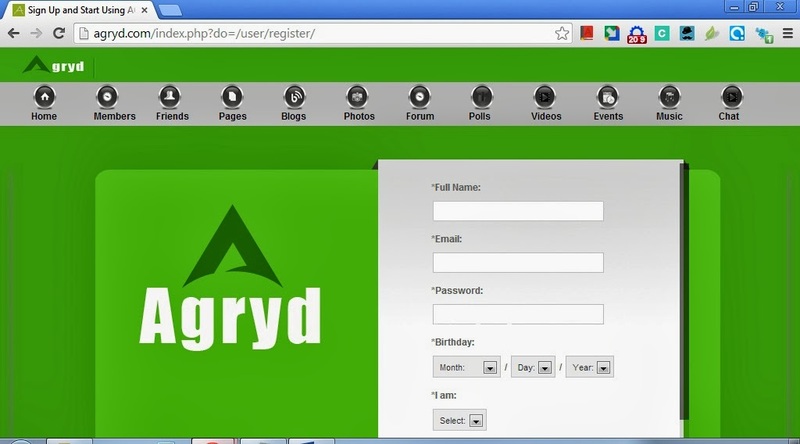 Agryd gives people the power to share and makes the world more open and connected..
Agryd was launched in the month of march 2013, that is around 7 months old and by now the site has 300k+ members on it. Site gets around 6000+ visitors daily and the visitors mainly come from China and India. One of the best feature of the site is its Blogging feature, due to which it has able to get around 11,596 back links till the day, this post getting published. 1) Ideas & Information Sharing: Agryd offers you the best ideas and information sharing platform. You could share your thoughts with your friends and folks with just few key press ups. 2) Messaging and Chatting: Agryd offers you facility to send instant messages to your friends and folks. At Agryd, you could do live chatting in an interactive environment. 3) Audio and Video Conferencing: One of the most interesting features of Agryd is live audio and video conferencing. You could have voice chat and video chat with your friends and folks with this exciting feature of Agryd.com. 4) Events: The most creative and sought-after feature of Agryd is events. With this feature you could create any event and can invite your friends and folks to the happening. This feature is best for youth to have re-union with their mates. 5) Polling: This is a feature with which you could collect feedback on anything. This is beneficial for the people to get reviews on their products and services. This feature helps in collecting response of people. 6) Forum: If you have any issues, concerns or queries relating to anything, you could discuss it on forums. Forums are the best place to put up your issues and get them resolved. 7) Music: Agryd offers you to listen to music which has been shared by your friends and also facilitates you to share your own preferred music amongst friends list. 8) Videos: You could now easily watch videos shared by your friends; at the same time you could also share your videos with them. 9) Blogging: Blogging is one of the most exciting features of Agryd with which it become popular worldwide. All the account holders can make their blogs and could post their articles over it. These articles could also be shared among other users. They are a huge source of back-links for a website. 10) Free Gift Sending: The exclusive feature of Agryd in comparison with other Indian social networking websites is sending free gifts to friends and folks. Agryd offer you the feature to send free gifts to your mates. The all you need is to collect points on website. And you could easily do this by being an active member of website. 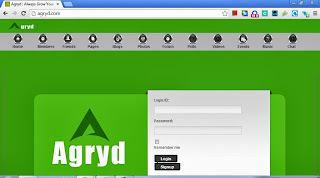 Agryd.com is probably the most preferred Indian Social Networking Website as it has all features that are in popular websites like Facebook and Google plus, but it has several other unique features as well. The post is written by the PR/Marketing Head of the site and all claims made are his own and the blog owner has no responsibility over the claims and content of the post.